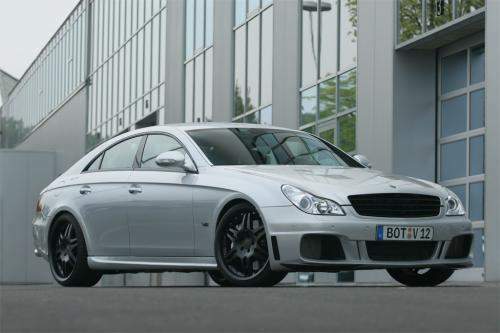 I previously blogged about the Brabus E V12 Biturbo based on the new Mercedes E-class. Brabus brings us another luxurious monster at the Frankfurt Motor Show 2005. 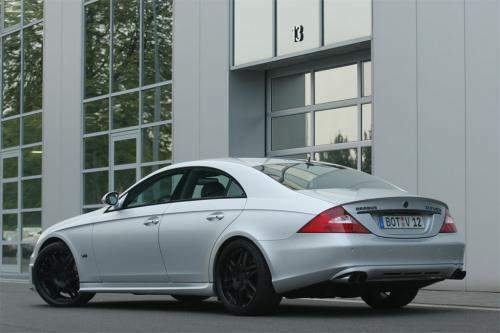 This is the Brabus CLS V12 S Biturbo suitably nicknamed as the Brabus Rocket! The Brabus Rocket is based on the Mercedes Benz CLS four-door coupe. This engine comes from the Mercedes Benz SL600 which originally had 5.5 litres displacement. It has 500hp at 6000rpm and 800Nm of torque. Brabus replaced the crankshaft, increased the bore and put new forged pistons into the engine. Intake and outlet valves in the cylinder head are also optimized and new racing camshafts are installed. 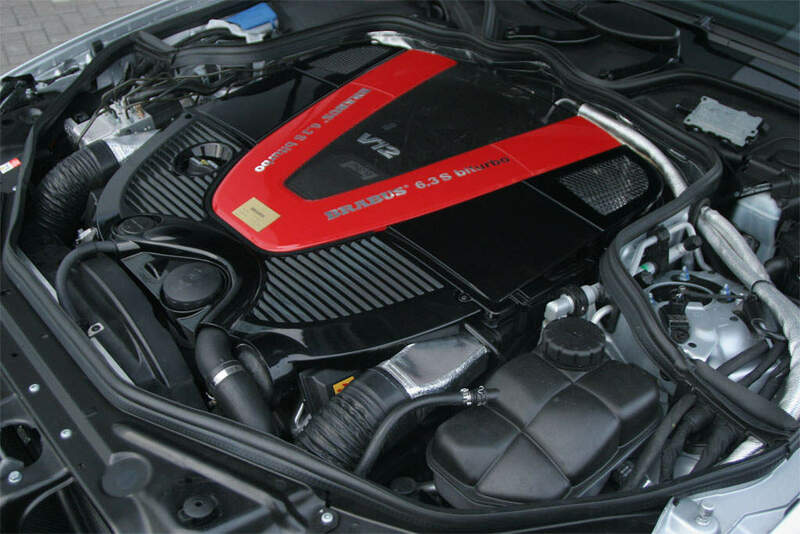 The result is a 6.3 litre V12 engine has been souped up to produce 730hp at 5100rpm and a mind-blowing 1320 Nm of torque from 2100rpm! The twin-turbo engine also receives larger turbos, bigger more efficient intercoolers and a performance exhaust system with quad tailpipes sticking out at the rear end. The car uses a modified 5-speed automatic transmission and transfers power to the rear wheels. The car is also equipped with new suspensions. There are two choices, one tuned for comfort and one tuned for sports. Brakes have also been upgraded, with the front axle fitted with huge 12 piston calipers on aluminium discs and the back with 6 piston capilers on steel discs. Tyres are 255/35/ZR19 in front and 285/30/ZR19 on the back. The Brabus CLS V12 S Biturbo “Rocket” goes from 0-100km/h in 4 seconds, and has an electronically limited top speed of 350km/h.